The House Ways and Means Committee on Saturday sent another letter to the Internal Revenue Service, requesting President Donald Trump's tax returns. The letter comes after Treasury Secretary Steven Mnuchin informed the Committee he would not be able to review the Committee's request for President Donald Trump's tax returns by the April 10th deadline. 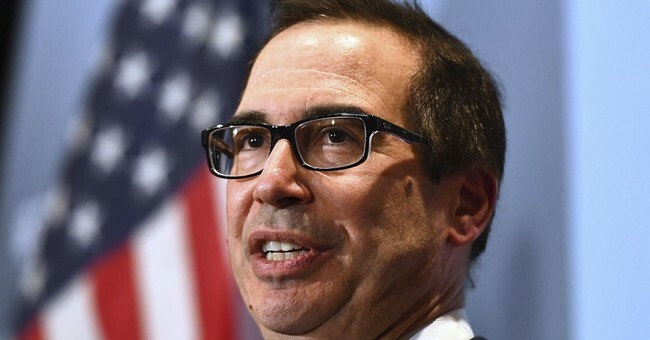 Mnuchin expressed a concern over releasing the returns because of the precedent it would set and the potential for this to be used for political attacks. "The Committee's request raises serious issues concerning the constitutional scope of Congressional investigative authority, the legitimacy of the asserted legislative purpose, and the constitutional right of American citizens," Mnuchin wrote. "The legal implications of this request could affect protections for all Americans against politically motivated disclosures of personal tax information, regardless of which party is in power." The Committee's Saturday letter to the IRS reiterated their position, saying Mnuchin should not be concerned. "I am aware that concerns have been raised regarding my request and the authority of the Committee. Those concerns lack any merit," Chairman Richard Neal (D-MA) wrote. "Moreover, judicial precedent commands that none of the concerns raised can legitimately be used to deny the Committee's request." According to Neal, the Supreme Court has given Congress the okay to conduct investigations even if those investigations are "broad." "The Supreme Court has instructed that Congress's power to investigate is 'broad' and 'encompasses inquiries concerning the administration of existing laws as well as proposed or possible needed statutes,'" Neal wrote. The Chairman also added that it's not up to various departments to make that determination into "what's appropriate" and what's not. "It is not the proper function of the IRS, Treasury, or Justice to question or second guess the motivations of the Committee or its reasonable determinations regarding its need for the requested tax returns and return information," Neal said. According to The Hill, Mnuchin plans to consult with the Justice Department to determine how the IRS is to handle the matter.